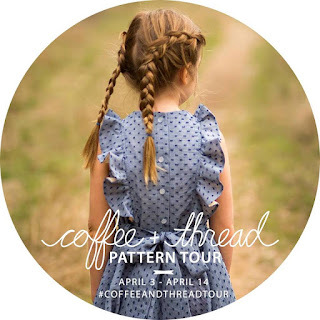 Have you seen the crazy, awesome tour going on over at Coffee+Thread?!? I can't get over the number of creative participants not to mention the inspiring makes they are sharing! I had only planned on making one look for this tour, but I just couldn't stop there. You shouldn't either! 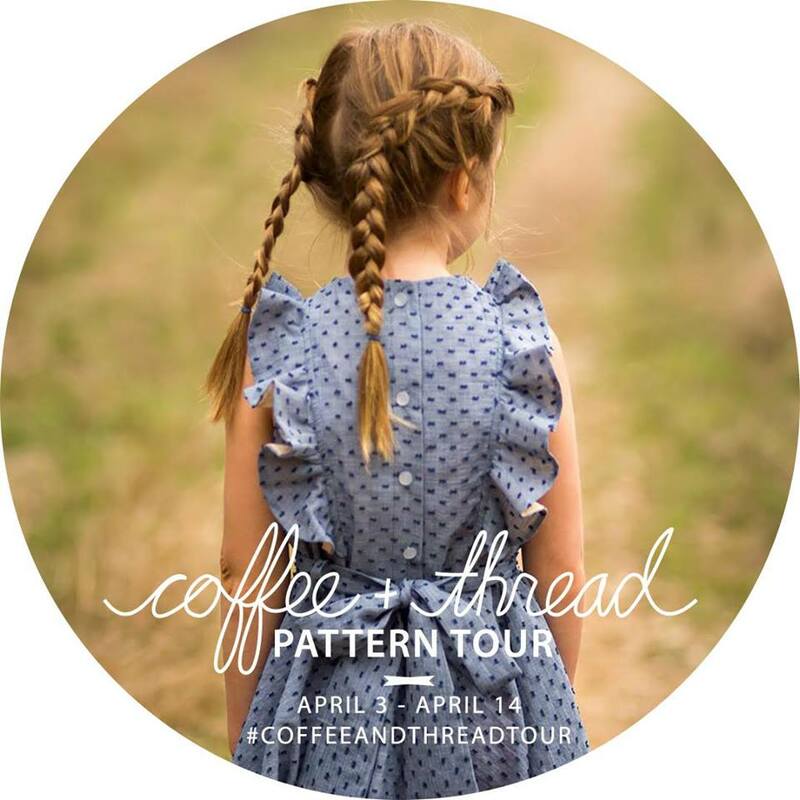 All patterns are still 20% off with 'coffeeandthreadtour' discount code. Shop HERE. First up is Avery's Mulberry Tunic. I paired the tunic with Modkid Hannah shorts, and it makes for an ideal school day outfit. The fabric is Art Gallery Rosewater Tears by Katarina Roccella. The bodice seam just screamed for a little piping. I added an elastic casing offset from the hem of the sleeve to create a little ruffle that adds a feminine touch to the pattern. Olga includes all of the finish details and top stitching you could want in a pattern. The Modkid Hannah shorts feature a nice cuff detail for some added flare. They are a great length, and the pattern comes with a capri pant option as well. We recently moved to Austin, so I am enjoying spotting new photo shoot locations that are both fun and picturesque. This little spot has this great rocky area next to a stream on one side of the road and a waterfall on the other. I can't wait to go back for the waterfall!! The girls were so busy exploring and finding frogs that it was difficult to get them still enough for photos most of the time. I've had the Eleena pattern for a while, but never had the chance to make it. I'm so glad I finally did!! I used the same denim from my great aunt's stash for both Tandy's dress and Avery's shorts. The warp and weft threads vary creating a black side and a dark gray side of the fabric. (At least, I think that is the correct terminology. Feel free to correct me if I am wrong!) For the Eleena dress, I reversed the fabric inside the pleat adding a little drama when it peeks through. I switched up the construction of the Eleena a bit. Some due to laziness, the lack of an invisible zipper, laziness, the thickness of the fabric, and, did I mention, laziness. I omitted the lining completely and bound the arm openings and neckline with bias tape. I also swapped out the invisible zipper for a button and loop closure. Of course, Tandy appreciated the pink button. I wasn't sure how she would feel about the gray and black dress, but she surprised me and loved it! I think the swingy shape is what sold her. Now for more fun stuff!! Be sure to enter the giveaway for some amazing prizes. Then, visit all of the other stops on the tour and get inspired!! I love both of these so much!!! Your Mulberry is so pretty with the elastic in the sleeves (I confess to doing something similar with my first Mulberry, too), and of course you had to use piping ;) I love how you made a matching Eleena dress without it being overly obvious. So pretty in that denim! I like the idea for switching out that closure, as I am often quite lazy myself....though I doubt you are actually as lazy as I am, haha. Well, we won't compete for a laziness award!! The elastic in the sleeves is just the right feminine touch. I don't think we were the only ones who tried that trick! Courtney, both looks are stunning! All the heart eyes! Your girls look gorgeous, and your photography is so so good! Love all the mods you made! Perfection all around! Thank you so much for joining the tour! Thank you for including me! We certainly found the perfect location to showcase these pretty patterns. OH both these are soooo good! But that black Elena is perfection! Thank you so much!! I had my doubts along the way, but I love the outcome. These are both SO cool but that Eleena have me go all WOW! And your photos...gorgeous! 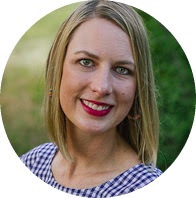 I can't tell you how many times I looked back at your Mulberry tunics and Eleena dresses to figure out what to make!! Thank you for your sweet encouragement. This has been an amazing tour! Beautiful girls and pictures and makes! It looks like their outfits really suit their personalities! I love how dainty the mulberry is and the Eleena is gorgeous!! I am going to refer to this post because I have yet to install an invisible zipper invisibly. Gorgeous outfits! I really love that Eleena. So stylish!